Family Learning » Comhar Chathair Chorcai Teo, Cork City Partnership Ltd. 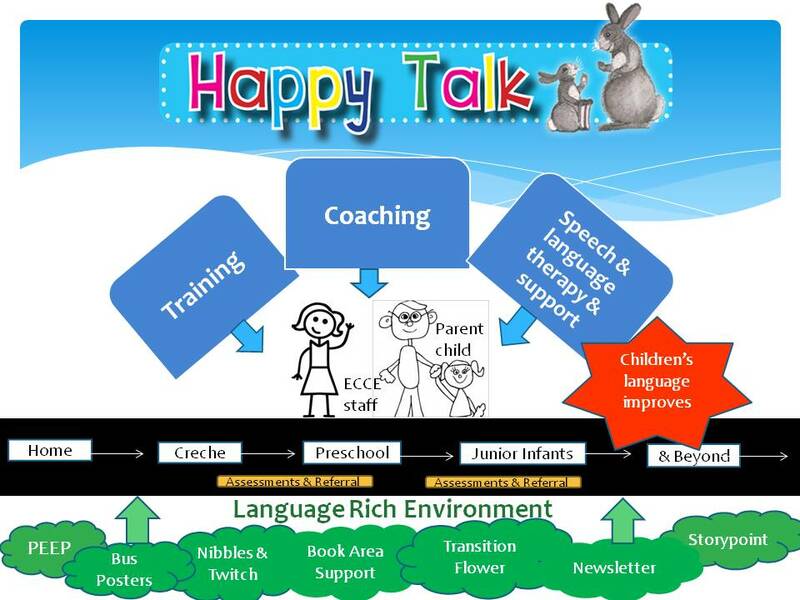 In the Happy Talk Model, the supportive structures along the pathway to improved oral language are the ‘language rich environment’. One of the central elements of the strategy is to promote the use of books. 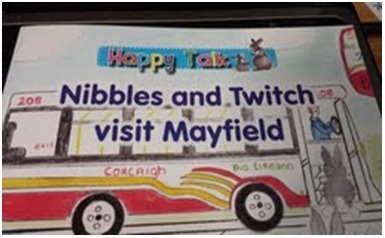 Happy Talk has developed and is supporting a number of initiatives including supporting crèches and preschools to develop excellent ‘book areas’ in each setting, promoting a ‘Borrow-a-Book scheme’ and even developing a set of localised story books using the characters Nibbles and Twitch which are used during the coaching sessions. The Borrow-a-Book scheme involves the children borrowing books from their setting. The title of the book is written on the Borrow-a-Book card and parents fill in comments on the experience. The aim of this scheme is to generate interest among the children and to give them a sense of responsibility about taking the books home. The scheme gives crèches the opportunity to explain to parents, how to engage the child with books. Parents are encouraged to build books into their child’s routine. This scheme helps increase the awareness of introducing books to children from an early age.